The September 3, 2017 underground test was North Korea's sixth, and by far largest yet, yielding some 250 kilotons, or about 17 times the size of the bomb that destroyed Hiroshima. Many experts believe the device was a hydrogen bomb–if true, a significant advance from cruder atomic devices the regime previously exploded. The explosion itself produced a magnitude 6.3 earthquake. This was followed 8.5 minutes later by a magnitude 4 quake, apparently created when an area above the test site on the country's Mt. Mantap collapsed into an underground cavity occupied by the bomb. The test and collapse were picked up by seismometers around the world and widely reported at the time. But later, without fanfare, seismic stations run by China, South Korea and the United States picked up 10 smaller shocks, all apparently scattered within 5 or 10 kilometers around the test site. The first two came on Sept. 23, 2017; the most recent was April 22, 2018. Scientists assumed the bomb had shaken up the earth, and it was taking a while to settle back down. "It's not likely that there would be so many events in that small area over a small period of time," said the lead author of one of the studies, Won-Young Kim, a seismologist at Columbia University's Lamont-Doherty Earth Observatory. "These are probably triggered due to the explosion." After looking at the series of aftershock reports, Kim's group sifted more closely through the data and spotted three other aftershocks that had not previously been recognized, for a total of 13. The tremors were all modest, all between magnitude 2.1 and 3.4, and almost certainly harmless. In the past they would have been hard to pick out using far-off seismometers, he said. However, under new international cooperation agreements, he and colleagues obtained recordings from relatively nearby instruments including ones in Ussuriysk, Russia, a borehole in South Korea, and Mudanjiang, northeast China. Seismometers have long been routinely used to verify nuclear test treaties, and scientists have become increasingly confident that they can detect even small tests and distinguish them from natural earthquakes. But the link between explosions and subsequent quakes is less studied. Seismologists documented a handful of apparent aftershocks near a Nevada test site in the 1970s, and near a Soviet test site in Kazakhstan in 1989. However, they were not able to pinpoint the locations of these quakes with the technology then available. With more instruments and the new analysis method, 'now we can see everything," said Paul Richards, a Lamont seismologist who coauthored the papers. "It's a radical improvement in cataloging even tiny, tiny earthquakes. It shows not just what we can do with natural earthquakes, but that we can monitor what the North Koreans are doing. North Korea can't do anything at all now [in secret] and expect to get away with it." Richards said the exact location of tiny quakes could also help in the so far largely fruitless quest by some seismologists to predict bigger quakes. Richards did not assert that quakes could eventually be predicted, but said, "If you're ever going to do this, you have to understand locations, and how one earthquake affects its neighbors." This spring, the North Koreans made a show of blowing up part of the Mt. Mantap site, though it may already have become largely unusable due to the destruction caused by previous explosions. And no nuclear tests have been detected since North Korean leader Kim Jong Un and U.S. president Donald Trump met in June to discuss ending North Korea's tests. However, despite boasts by Trump that North Korea's program has been neutralized, U.S. diplomats have noted evidence suggesting that the North continues to quietly develop its weapons. 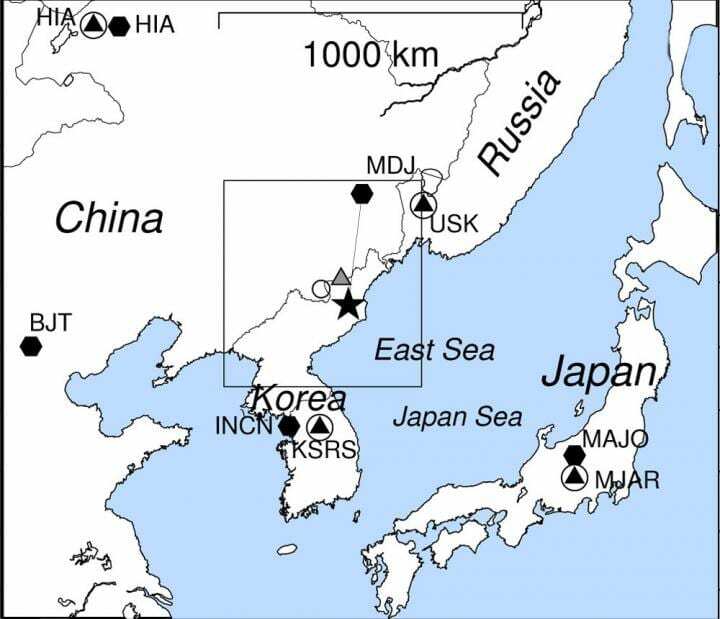 'Identification of Seismic Events on and Near the North Korean Test Site After the Underground Nuclear Test Explosion of 3 December 2017' is available from the authors or the Earth Institute press office.